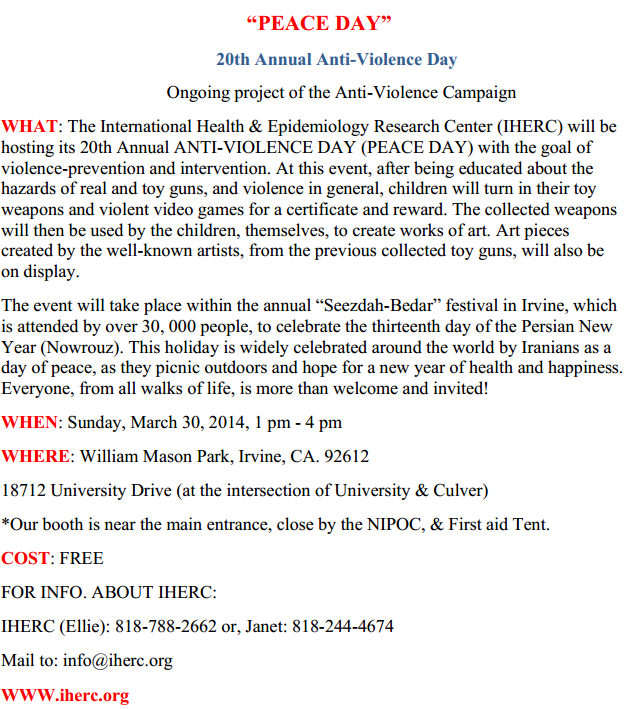 Please join IHERC and many other gun violence prevention organizations in remembering all victims of gun violence. 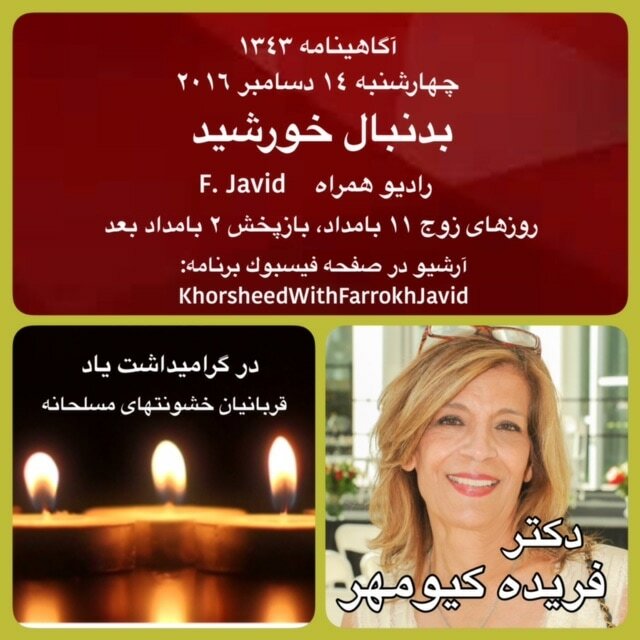 Participate in this national event,‪#‎LightLA‬ , from wherever you are in the world. Let's raise awareness about gun violence together and prevent future tragedies from occurring! 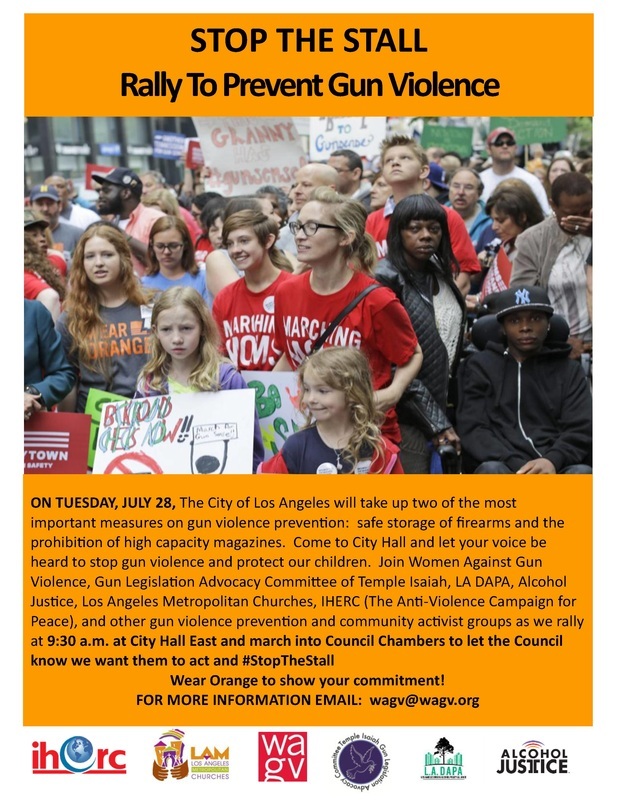 INVITATION- please join us again:Those who live in Los Angels, and nearby Tuesday August 4, 2015 at 10am -LA City Hall. Help us pass 'Safe Storage of guns at home" ordinance. 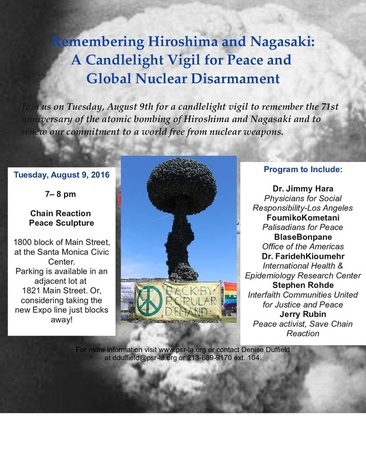 Click here for video of event. 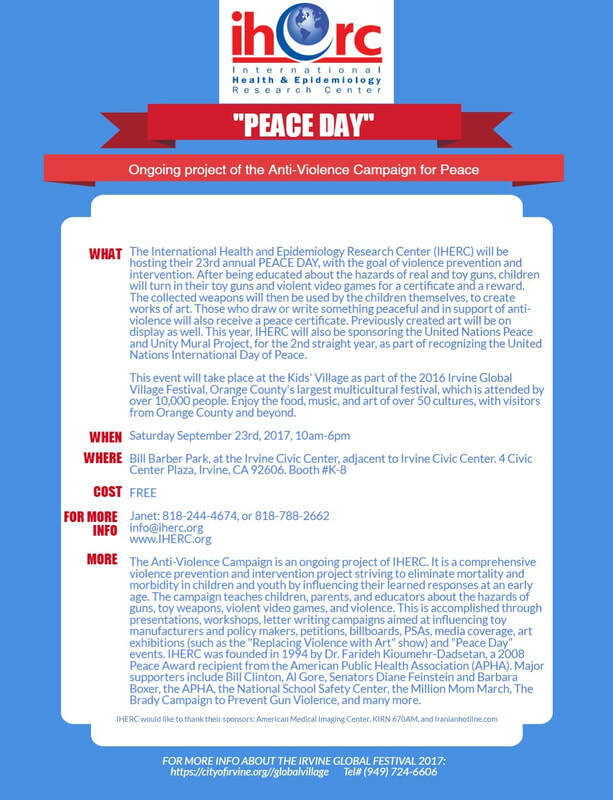 The first Anti-Violence Day/Peace Day events were successfully held on April 2, 1995 in a minority community. In April and May of the same year it was repeated in several private schools. Due to its tremendous success the project was in great demand throughout California. 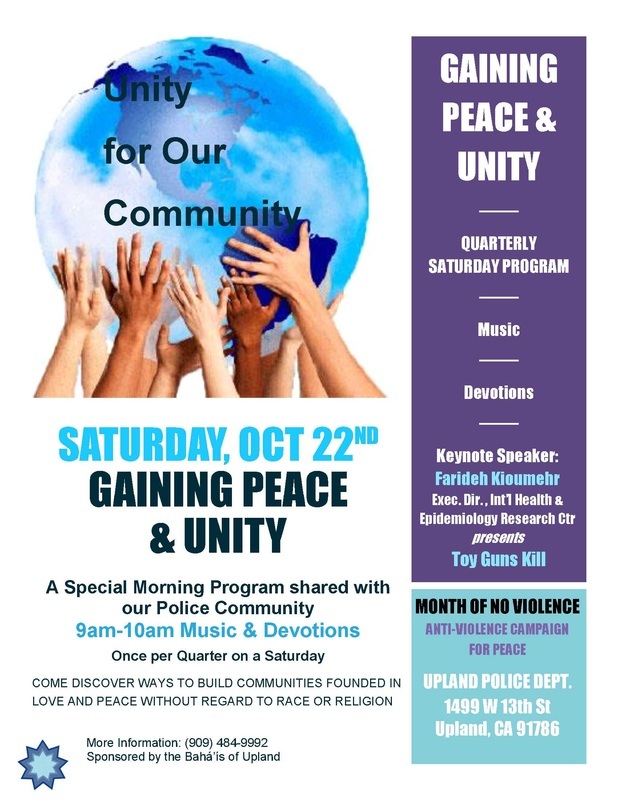 During 1996 the program expanded to meet the needs of those in the Jewish community, in the LAUSD's Jordan/Lock Cluster (including 25 schools), in South Central Los Angeles, in the Nickerson Garden Housing in Watts—a mostly African American, low socioeconomic area, and in Santa Barbara. In April of 1997 simultaneous events were held for the Iranian community in three locations—two in parks in Irvine, CA and in Chatsworth, CA. A few days later another event was held at the Los Angeles Children’s Museum in cooperation with the Los Angeles County Health Department and LA Children’s Museum. During these events, children turned in their toy gun and weapons, and used them to create a giant collage with a peace message The art pieces created at the Children’s Museum, were kept at the Los Angeles Children’s Museum for two months for the public to view. Children who did not have a toy gun to turn in were encouraged to write short stories or create art works about the dangers of guns and violence in society. Each child who participated received a certificate and a "Say No to Toy Guns/Weapons" T-shirt as a reward. The children would then be "walking billboards" to help their communities by discouraging the use of violence and the violent objects. The families also learned the immediate danger imposed on their children by real and toy guns. Schools and communities in Oregon, New York, Ohio, Missouri, and Florida have expressed great interest in implementing this campaign. France, Canada, Brazil, and South Africa have also inquired about its use. • The event or workshop was very informative.